As a growing power-engineering contractor, RJ Power Networks knows the importance of supporting the wellbeing of their staff. 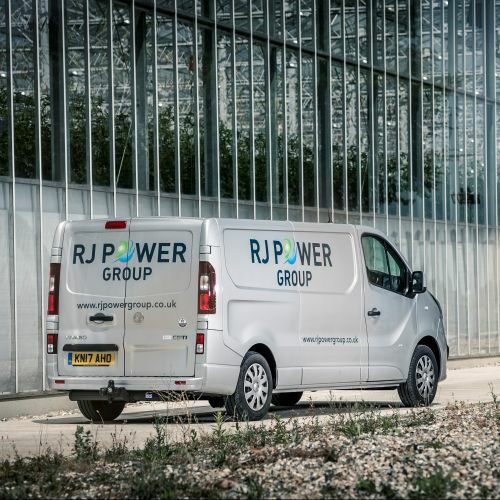 Driving is a significant part of the RJ Power Networks operation due to our nationwide presence, and our teams can be working in multiple areas of the country at any one time. Working at times to suit our clients as well as our 24 hour emergency call out service means that our vehicles can be out on the road any time of the day and night, so driver safety is imperative to us. Driver Awareness Briefs – Our briefs cover a range of different topics such as; driving tired, smart motorways, different road signs and driving facts. The briefs are given to everyone within the company, not just those who go to different sites, this is so we can ensure we have done all we can to keep our employees safe not only at work but also in their day to day life. We have these briefs every year as a reminder for everyone within the business. Vehicle Checks – all our employees take pride in their work and this includes their van’s, as vans are often the client first impressions of our business. The vehicle checks are completed once every calendar month to make sure all the RJ Power fleet are in proper working order but also to check; cleanliness, dents, scrapes, scratches, tyre wear, and so on, so we can get the issue fixed promptly. Trackers – are installed in all the company vans, so that we can monitor the driving behaviours of our people to ensure they are meeting our expected standards always… This ensures the safety of our team as well as the safety of everyone else on the road. Speeding is a rare occurrence, however if this does take place we ensure this is tackled quickly and efficiently, with additional training provided if required. Driver safety is linked to employee wellbeing, which is a very important factor in any business. Employee wellbeing is vital in attracting and retaining individuals in their professional capacity and has become a major focus this year as the business grows from strength to strength. With countless improvement initiatives in process, RJ Power Networks is always looking to provide smarter working environments, which can be adapted to the needs of every individual.